Download both SDK and NDK. After that extract them in the same directory. 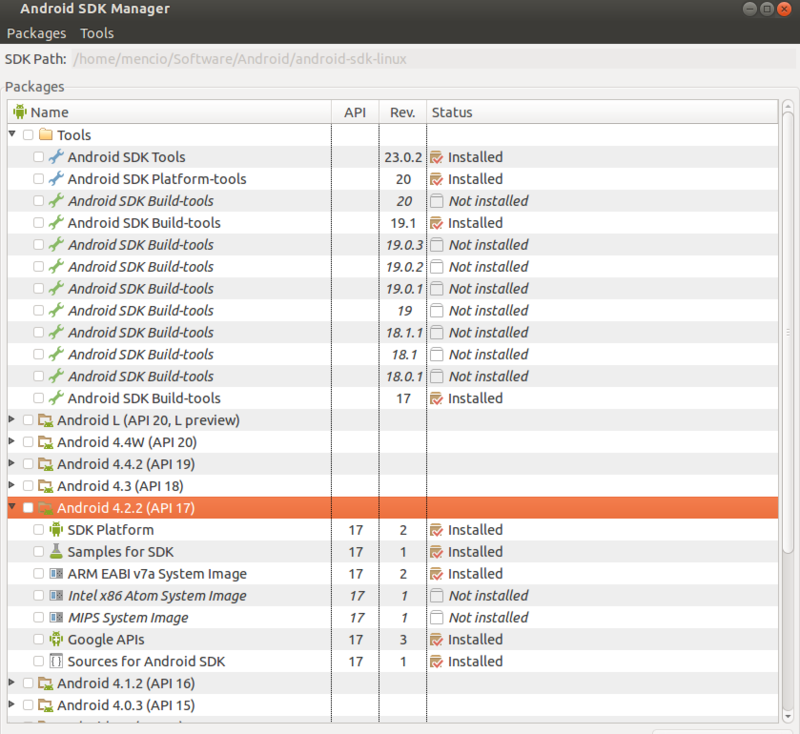 And use the Android 4.2.2 (API 17). Below you can see a printscreen of all the elements you need to have installed. If you have a Android L or any higher API than API 17, please remove them. Rhodes seems to have some issues with them. -  rm_f $applog_path if !$applog_path.nil? +  FileUtils.rm_f $applog_path if !$applog_path.nil?